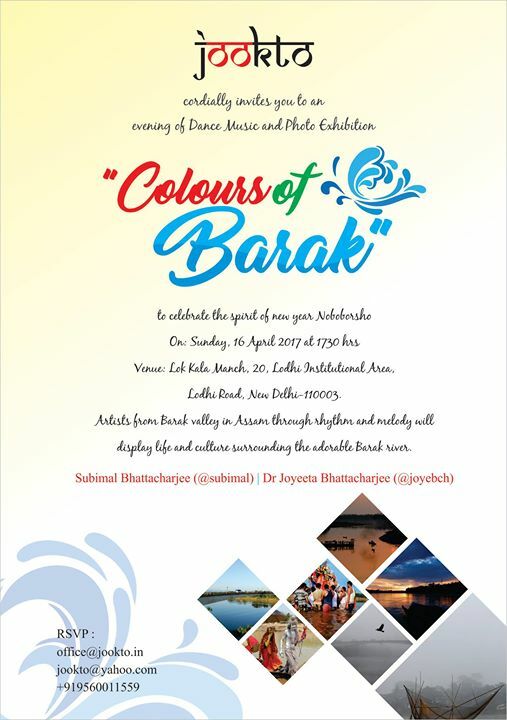 New Delhi: JOOKTO is organising “Colours of Barak” Festival, to celebrate the life and people around the river Barak in southern Assam on Sunday, 16th April 2017 in New Delhi. 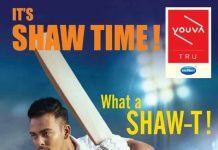 The event will see the presence of 12 performing artists from the Barak valley region in Assam performing the most popular folk songs and traditional dances as well as dhol (drum) recitals. Each of these performances will cover the cultural ambience of the region. Most popular folk singer Shri Bikramjit Baulia of Zee Saregama fame, Shri Satyajit Bose ‘Joy’ prominent dancer from southern Assam with his troupe and the legendary Shri Ganga Singha will perform the Manipuri Pung (drum) along with Ksh Thajangamba Singha. Sangita Dutta from Silchar will also lend her melodious tune while tabla player Santosh Chanda and ace keyboard player Nirupam Barbhuiya will also be performing along with the artists. There will be a rare combination of all the artists also towards the end of their individual performances. Besides the performing artists, there will be a display of photography of the Barak river and its tributaries by the noted photojournalist from Silchar Shri Partho Seal. The distinguished guests for the evening will be Shri Amarendra Khatua, Director General, Indian Council for Cultural Relations and Shri Shakti Sinha, Director, Nehru Memorial Museum & Library who will light the ceremonial lamp. The photo exhibition will be inaugurated by Shri Junaid Kamal Ahmed, Country Director, The World Bank. JOOKTO, (www.jookto.in) a socio- cultural organisation is an initiative to connect people and minds across similar ideas and cultures over multiple platforms. From artists to writers to thinkers, the philosophy is to connect and explore. Mr Subimal Bhattacharjee and his wife Dr Joyeeta Bhattacharjee are founders of Jookto.